This article will guide you in manually upgrading the firmware of your Velop node. Make sure you know the administrator password. Upon setup, Velop automatically creates a password for you. 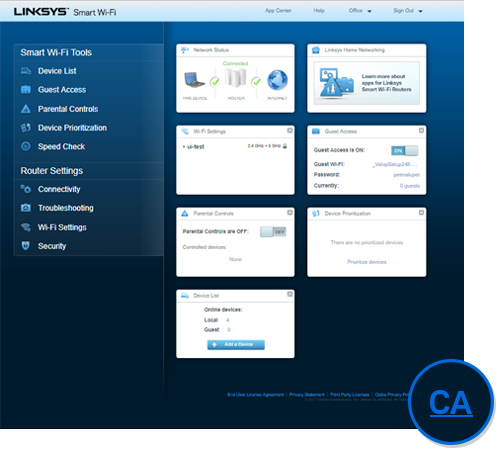 It is recommended to personalize it using the Linksys app. For instructions, click here. IMPORTANT: Do NOT reset the node. 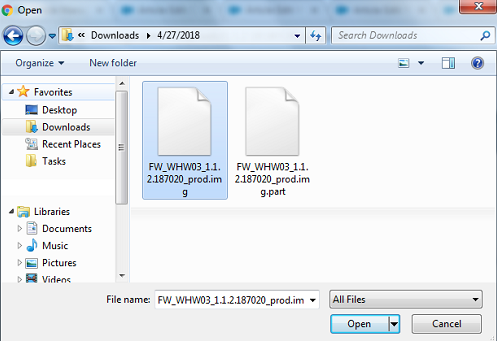 Download the firmware file to your computer. To download the firmware, choose your product below. NOTE: It is recommended to save the firmware file in a location where it can easily be found or identified. Log in to the Velop’s web interface. For instructions, click here. Once the node's Dashboard opens, click on the CA link at the bottom right corner. 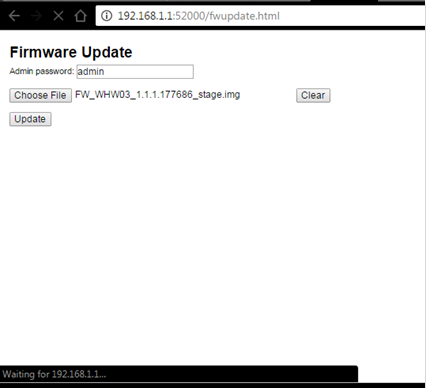 Under the Basic tab, there's a Firmware Update section. Click the Choose File button. Select the firmware file you downloaded then click Open. 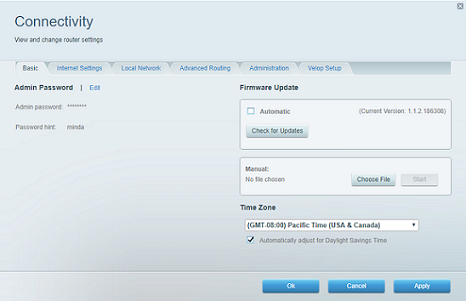 In the Firmware Update section, click the button. NOTE: During this process, do NOT turn OFF your Velop or close the browser. Once finished, click Apply then Ok.
A. If the node has been configured already, use "http://192.168.1.1/fwupdate.html"
B. If the node is on factory defaults, use "http://192.168.1.1:52000/fwupdate.html"
NOTE: The default IP address of a node is 192.168.1.1. If your node's IP address is different, use that instead. 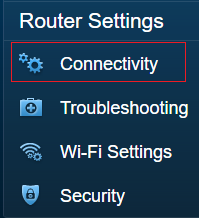 Determine your node’s IP address using the Linksys app. To do this, go to the Velop Dashboard > Menu > Velop Administration. Then, select your node and look for its IP address. Make sure your node is connected to the internet. Open a web browser and enter the appropriate link based on the current status of your node. A. 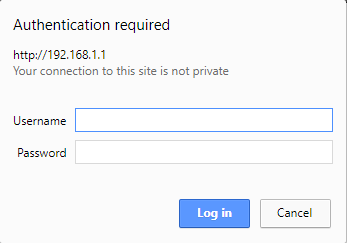 If the node has already been configured, use "http://192.168.1.1/fwupdate.html"
Enter your current administrator Username and Password then click Log in. Click Choose File and select the firmware you downloaded then click Update. The status bar will show a percentage progress. Wait until you receive the "result": "OK" message on the browser. The node will reboot within a few seconds. Wait until you see the solid blue light again, or a solid purple if the node is on factory defaults which means the node is ready and back online. To learn more about the light behavior of your Velop, click here. For further assistance on how to manually update the firmware of your Velop, call the Velop Support at 800-986-0518 for North America. For other regions, call Linksys technical support.